The Remanufacturing Industries Council (RIC) is a strategic alliance of businesses and academic institutions that works across industry sectors to support the entire remanufacturing industry through a combination of collaboration, education, advocacy and research. An association of over 2000 member companies that rebuild automotive related “hard” parts, such as starters, alternators, clutches and brakes. ASQ is the world’s leading membership organization devoted to quality. We have the knowledge, tools, expertise and resources to inspire you and your organization. 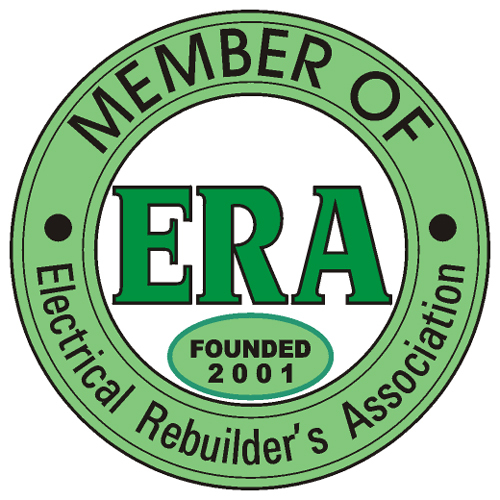 The Electrical Rebuilder’s Association is a non-profit trade organization for North American members of the automotive electrical parts rebuilding industry. The ERA supports members of this industry by providing information and educational opportunities, improving professionalism, and promoting the public image of the industry. International Traffic in Arms Regulations (ITAR) is a set of United States government regulations that control the export and import of defense-related articles and services on the United States Munitions List (USML). These regulations implement the provisions of the Arms Export Control Act (AECA), and are described in Title 22 (Foreign Relations), Chapter I (Department of State), Subchapter M of the Code of Federal Regulations. The Department of State interprets and enforces ITAR. Its goal is to safeguard US national security and further US foreign policy objective. SAHRA is a not-for-profit association serving Human Resource Professionals in the Springfield, MO area. Our organization is made up of more than 200 members representing a diverse group of leading area employers from a variety of industries including: education, entertainment, finance, government, health care, hospitality, manufacturing, professional services and retail. *The marks of Remanufacturing Industries Council, The Association for Operations Management, Automotive Parts Remanufacturers Association, American Society for Quality, Electrical Rebuilder's Association, International Traffic in Arms Regulations, Springfield Area Human Resources Association and Society for Human Resource Management are the trademarks or service marks of their respective owners.